RiskPro is very active in provide training, workshops and conferences to educate the Indian Risk Professional. We offer customised and standard trainings as per your requirement. Please click on appropriate link on the side for more details and the training calendar. Riskpro has put together a unique 8 hour training programme that introduces key Risk Management concepts and current trends to professionals with little or no background in Risk Management. The course is useful to make sense of terminology and concepts that are not well understood. 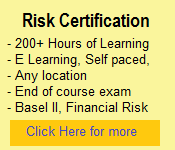 The course is meant as an introduction to Risk Management for beginners. Today, Directors and Senior Management cannot escape some buzz words that keep coming back in their lives. "Corporate Governance, Reputation Risk, Risk Management, Frauds,Mis-selling, Operational Losses, Compliance." With changing business processes, broader requirements and multiple stakeholders to satisfy, it is imperative for companies today to evaluate the benefits of a risk management system while balancing the immediate needs and the long term strategy. Under these circumstances, Operational Risk Management, a subset of Enterprise Risk Management assumes greater importance. The following provides outline of the ORM Training program. These are delivered as a complete program. The total program comprises five sessions. You are free to take these 5 sessions at your own pace. Riskpro is taking great efforts to create awareness of Risk Management in India. Against this goal, Riskpro is developing various risk management courses to cater to the general audience as well as experienced professionals. Click on MORE to see a list of current E Learning courses. Riskpro is able to offer you Banking & Risk Management Courses at substantial discounts from retail prices. You will be amazed at the prices that are charged per hour of learning. So, go ahead and make yourself a True Banking Professional. These are regular training sessions that are conducted at regular intervals. Participation to these is open to all by filling in the nomination/registeration forms. Riskpro can also customise training for corporates and this option is best if you want a lot of knowledge packed in small training sessions or if you have a specific training need. We use internal material as well as tools and material available from our vendor partners to develop customised training. Please contact at training@riskpro.in for more details, dates and costs. 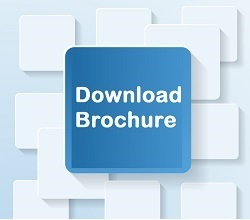 Download Risk Management Training Brochure.